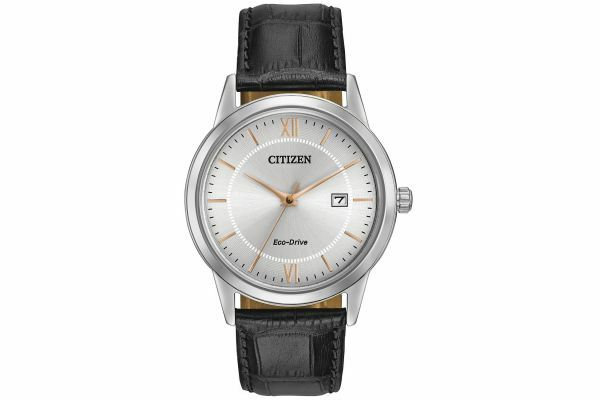 This Citizen men's Eco-drive has classic lines and a rich leather strap. The polished stainless steel case and patterned silver dial house the renowned Eco-drive solar power movement with date. Rose gold highlights finish the look. This Citizen comes with the usual 5 year warranty. For us to size your new Citizen watch as accurately as possible, please take a look at our downloadable Watch Sizing Guide.